A Tulane spokesperson said Monday (Jan. 28) the school indeed does have three home non-conference games set for 2023. That’s P5 style scheduling, but with it 4 years out, that could always change. yeah, in 2021 you can insert "buy out" where Oklahoma sits. I think it's less of a threat from Ole Miss and Miss State as neither will ever be good enough to be that high on themselves.. and neither could afford the buy out. I would be surprised if Ole Miss plays at Yulman. We are scheduled to return to Ole Miss and Oklahoma after those home games, which I would think at least protects us some. I was not aware of that.. I thought they were the typical P5 "two for one" where you play the first two in their place and they buy you out so they can get an extra home game v. a "rent-a-win"
What makes you say that? They will have a different AD and likely a different coach when that date rolls around so you never know. That said, having both State and Ole Miss playing in town the same year kinda holds them hostage. Whichever team backs out the other might have some sort of recruiting advantage in the area. and a trip to New Orleans may be seen as a reward to alumni/fans/players. Also wouldn't surprise me if we were asked to move our game to the Dome by Oklahoma. Which we should promptly turn down. 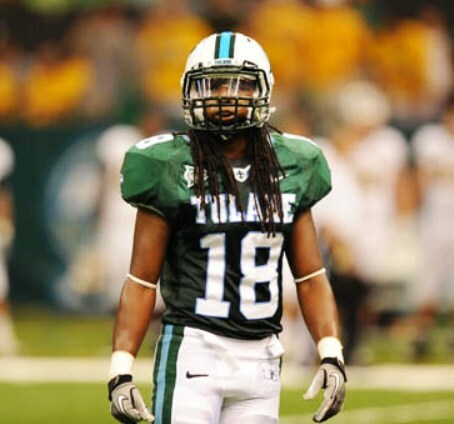 No reason to play games in the Dome with opponents who have already agreed to play at Yulman. Hope pessimism above is wrong but it's a free country. Collect the buyout and move on like contractual payments from departing coaches who are job hopping. I've never been opposed to a Dome game on occasion for the right opponent (Oklahoma would have qualified), and have been surprised we haven't done it yet. And I'm well aware of buyout trends. But given the full context, programs involved, contracts, situation, I'd be 110% flabbergasted if Ole Miss and Miss State don't both play at Yulman. And Oklahoma the odds are WELL above 50%, with a Dome compromise more likely as a second option than a buyout. That said, scheduling 7 home games is a nice insurance policy in case I'm wrong. The size of our stadium combined with the amount of fans they traditionally bring when we play them. Both of those teams play in BR every other year, I don't think there's any edge for either of them to gain. I wouldn't have a problem with playing a team like OK in the Dome. They could potentially bring a ton of fans with them, like Texas did that one year they came here. And we do it in MBB we played N. Carolina downtown in the Arena, I went it was fun. Perhaps, but then why is State playing ULL in the Dome this coming season? No problem playing those teams in the Dome. Hopefully we are right in believing that our program is on the rise. I'd love to be in a stadium with 50,000 or more fans watching us play a quality opponent. As to the contract it may well just state the games will be played in New Orleans. Even if the contracts don't state that the games can be moved if warranted on our end. May it happen. 40K or 50k is not realistic IMO. Maybe 30, maybe. The game vs Texas in '02 got 46k on paper, far far less in person. Furthermore putting it in the dome would not be acting with fidelity to our vendors and investors in Yulman. It also sends the message that Yulman is small time. Games should be played in the dome ONLY when they are a neutral site game or a one off.